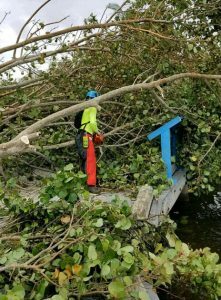 Despite a heroic effort by utilities, hundreds of thousands of customers remained without power in Florida on Monday, eight days after Hurricane Irma landed, heightening the call for greater grid resiliency. Grid resiliency describes the ability to avert power failure or restore service quickly after a disaster. In recent years, states hit hard by severe weather, such as New York, Connecticut and New Jersey, have pressed forward with microgrid development to improve grid resiliency. Others are trying to get there with legislative or policy changes. For example, in Pennsylvania, legislation before the House Veterans Affairs and Emergency Preparedness Committee, would create pilot projects for microgrids that provide power for water, police, hospitals, communication and other critical services. Duquesne Light supports the bill because it wants to build a six-building microgrid at its operational headquarters in Pittsburgh, so that it has a command center to get the larger grid up and running should a disaster strike. 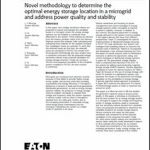 Microgrids can island from the main grid when they sense a disruption, such as a cascading power failure. Safe from the problem, the microgrid then transmits power to customers using nearby generators, which are not reliant on long distribution and transmission lines that are vulnerable in storms. But as long as change is predicated on disaster, many Americans will suffer from prolonged outages before their communities install microgrids. “Follow the carnage,” Alex Kragie, former deputy chief of staff for the Connecticut Department of Energy and Environmental Protection, famously said in describing where microgrid development will occur next. Florida Power & Light (FP&L) has put $3 billion into grid modernization – an effort that many say softened the blow from Irma. Still the state has few microgrids to keep the power flowing while the restoration effort is underway, especially to critical customers, like nursing homes and senior communities. As of Monday, there remained 236,630 customers outages within FP&L’s service territory, 111,703 within Duke Energy Florida, and 11,561 within Keys Energy Service, according to the U.S. Department of Energy. In fairness, it’s not just up to the states to fix the problem, Feasel said. “At a federal level, our future infrastructure policy should contemplate advanced technologies like microgrids and strategies for grid resiliency. Critical infrastructure is much more than roads and bridges, it has to include the electrical infrastructure that powers our everyday lives,” he said. Creating true grid resiliency is likely to be an ‘it-takes-a-village’ effort. And in fact, several players are on the job building microgrids in various parts of the U.S., including early utility leaders like Duke Energy. “With or without mandated reform, the onus is on business leaders, city governments, building owners, technology thought leaders like Schneider Electric and utilities nationwide to act, consider preventative measures and deploy affordable and safe solutions that can better serve their stakeholders,” he said. 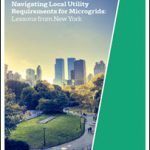 Track news about grid resiliency by subscribing to the free Microgrid Knowledge newsletter.